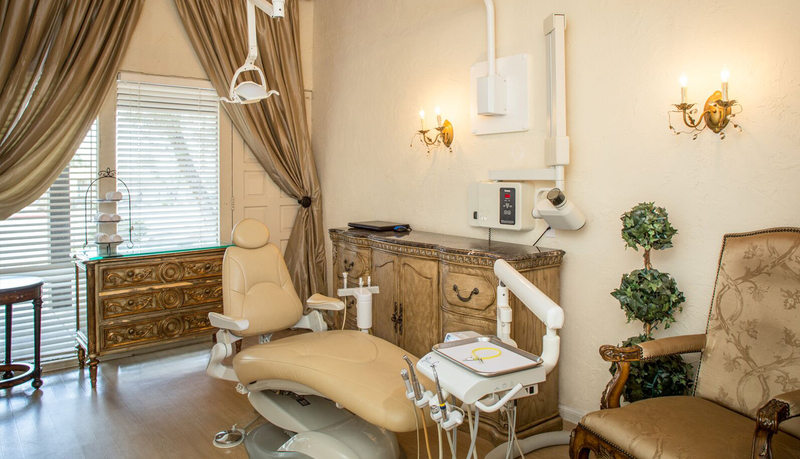 From the moment you walk in the front door you feel as if you are in a fine upscale resort rather than a dental office. Read some of the most frequently asked questions patients have about dentistry and oral health issues. We work with our patients to design a treatment plan and a payment plan the works best for them. Dr. Dell'Acqua has made numerous appearances as an expert in dentistry on television, news, radio and in magazines. A graduate of the prestigious University of the Pacific School of Dentistry in San Francisco, she has a private general dentistry practice in Palm Desert, California, with an emphasis on cosmetic dentistry. She has been at the same location for 14 years, serving the valleys residents. Known for her smiles dubbed "The Dell'Acqua Smile", Dr. Dell'Acqua is a brilliant artist who uses her innate ability to create natural and believable smiles with veneers. Her technical skills are unsurpassed, with the combination of the two giving her the edge in this cosmetic dental industry. See before and after photos of actual patients. Complete our online appointment request and our scheduling coordinator will contact you to confirm your appointment.